The Palestinian Prisoners Society (PPS) on Monday revealed that Israeli courts extended the detention of 51 prisoners, under the pretext of continuing investigation and judicial procedures against them. PPS said that the detention of 51 Palestinians detained in Israeli investigation centers and prisons was extended, according to the PNN, adding that the courts also imposed a fine of 15,000 New Israeli Shekels (NIS) on a number of the detainees. In Jerusalem, on Sunday night, Israeli police extended the arrest of 14-year-old Ali Ahmad Qaraeen until Monday, to interrogate him on charges of throwing stones. Wadi Hilweh Information Center was informed that the Israeli police arrested the child on Sunday afternoon, while he was near Damascus Gate, assaulting and severely beating him before taking him to Salah Eddin Street police station. Ahmad’s father informed the center that, after his son was arrested, he and his 16-year old son Wadi’ went to the police station, where the father tried to go inside the station, to attend the interrogation, but the police refused his request and arrested him and his other son. They were detained for several hours and then released after signing a personal bail, while extending the arrest of his son Ali. The Information Center was also informed that the police arrested another child from Damascus Gate who has not been identified yet. Israel holds more than 5,000 Palestinians in its prisons, most of them on security grounds. Around 150 of these are held under administrative detention, without charge or trial, and another 150 are minors. Abla Sa'adat, wife of the Secretary-General of the Popular Front for the Liberation of Palestine Ahmed Sa'adat, said that her husband refuses to be released in a conditional deal with the occupation. In an exclusive interview with the Palestinian Information Center, Um Ghassan quoted her husband as telling her during her last visit in Gilboa prison that he refuses his release in conditional negotiations. “I refuse my freedom in return for few meters of historical Palestine while allowing the expansion of settlement construction”, she quoted her husband as saying. Sa'adat's statements came following PA Minister of Prisoners' Affairs Issa Qaraqe's conference in which he said that the negotiations process is related to the release of Marwan Barghouthi and Ahmed Sa'adat and all Palestinian MPs in addition to sick detainees. On the other hand, Sa'adat's wife denounced PA escalated policy of political arrests against various Palestinian political factions, calling on the Palestinian Authority not to stray from the main essence of the Palestinian cause. She pointed out that her husband has been arrested four times in PA jails most recently was in 2000 when he served four years. She confirmed her husband's total rejection to the current negotiation process between Palestinian and Israeli authorities and the negotiation path as a whole, stressing that it is a collective position in the Popular Front for the Liberation of Palestine and among the Palestinian people and factions. The negotiation process only represents a cover to Israeli crimes against Palestinian people, she added. After being a non-member state at the UN, Sa'adat has called on PA Chairman Mahmoud Abbas to internationalize the Palestinian cause in international institution and forums, she added. She said that her husband spent 4 years in PA jails and 8 years behind Israeli bars including 3 years in solitary confinement, deprived of family visits. Following the Dignity hunger strike, she was allowed and only her son Ghassan to visit him for carrying Jerusalemite identity cards. In his letters to his family, Ahmad Sa'adat has always stressed the importance of Palestinian reconciliation, saying that it is the only path to resist the occupation. He also called for internationalizing prisoners' issue at international forums to shed light on their plight, particularly detained patients and children. Um Ghassan said that her husband is being transferred from one prison to another in short periods due to his constant struggle and influence, and important national role in Israeli prisons. She concluded by calling on the Palestinian people not to stand idle and to activate resistance option as the sole path to liberate Palestinian detainees and lands. 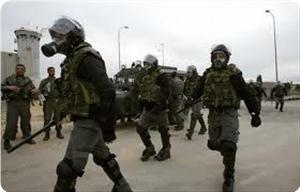 Israeli occupation forces arrested Monday at dawn three Palestinians after raiding several areas across the West Bank. Security forces said that Israeli forces arrested Ahmed Abu Romeila,16, from al-Salayma district in Hebron and led him to an unknown destination. Israeli forces erected early Monday a military checkpoint on Ya’bod-Jenin road and started stopping Palestinian vehicles and checking IDs of citizens. The forces stopped Palestinian citizens at the checkpoint, erected at Dotan settlement’s entrance, and questioned them on Monday morning. 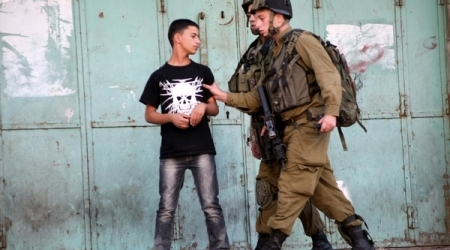 Israeli occupation forces arrested on Sunday evening a young Palestinian from Aida refugee camp to the north of Bethlehem and an injured child from Beit Ummar town to the north of Hebron. According to local sources , Israeli soldiers arrested a Palestinian, and caused suffocation cases during clashes in Moftah area in Aida refugee camp. In Hebron , the sources pointed out that Israeli occupation forces arrested child Qais Abu Maria ,12, after injuring him with rubber-coated steel bullets during clashes in Beit Ummar. 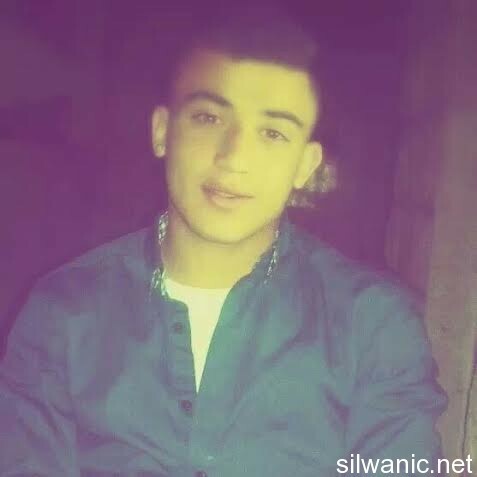 The coordinator of the Popular Committee Against Settlement and Separating Wall in Beit Ummar Mohammad Awad said that the forces shot Abu Maria in the leg at short range with rubber-coated steel bullets before arresting him . Violent clashes erupted between the occupation forces and Palestinians in the cities, villages of the WB and Jerusalem on Sunday during revival of Land Day. 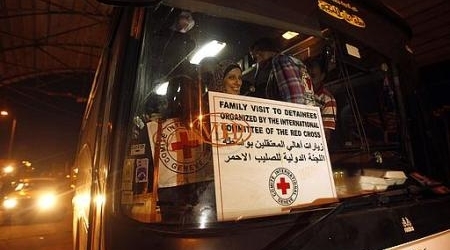 83 Gaza residents left the coastal enclave on Monday morning via Beit Hanoun crossing, Erz, to visit their relatives in the Israeli prisons, the International Committee for the Red Cross(ICRC) announced. Media official in the ICRC Rama Homeid said, 83 Gazans including 18 children will visit their detained relatives in Rimon Prison. The Israeli occupation imposes restrictions on the detainees’ families including banning the entry of food and books to prisoners. The Israeli Prison Services (IPS) put barriers between the prisoners and their relatives during the visit to prevent them from contacting directly. About 5,200 Palestinian prisoners are held behind the Israeli bars, according to the Ministry of Detainees and Ex-detainees. Three Palestinians, including a boy, were injured Saturday evening during clashes erupted between dozen of Palestinian youths and Israeli occupation forces in Kufr Qaddoum village, east of the West Bank city of Qalqilya. Local sources said that Ahmed Mofid,23, and Khaled Murad,9, was injured with metal bullets in foot while Ahmed Abdulfattah,17, was injured in the back. Dozens of Palestinians, including boys, who suffered suffocation were treated immediately. Israeli soldiers cracked down on a peaceful rally took place in the village to mark the Land Day. 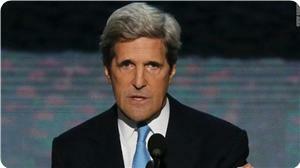 The soldiers used live, rubber-coated steel bullets and tear gas, the sources added. The sources noted that it is the first time occupation forces uses live bullets intensively since Kufr Qaddoum protests started before three years. In a relevant vein, Israeli occupation forces arrested Saturday Palestinian Mohammed Abu Maria,33, at the entrance of Beit Ummar, north of Hebron, and captured his vehicle. A senior Palestinian Authority official said that the US administration asked the Palestinian side to give it some time to determine the fate of the fourth and final batch of the Palestinian prisoners to be released by Israel. Quds Net quoted a senior PA official as saying on Sunday that the US administration asked for two days to declare Israel's approval or refusal to release the fourth group of prisoners. According to this official, the PA was also demanded not to make any move at the UN level that could undermine the American efforts to save the peace talks. The Israeli news website Walla said the Americans and Israelis asked PA chief Mahmoud Abbas to accept the extension of the peace talks for another six months in exchange for the release of 400 Palestinian prisoners other than the fourth batch which Israel had pledged earlier to free. Chief PA negotiator Saeb Erekat, for his part, welcomed the US-Israeli overture and said the fourth batch of prisoners would be released next Tuesday. Ahrar Center for Prisoner Studies condemned the Israeli repression campaign and the tough sanctions imposed against Palestinian detainees in Shata prison. Captive Movement's representative in Shata prison, Thamer Saba'na told Ahrar center that the prison administration has confiscated the detainees' electrical appliances and personal property items. He said Israeli Special Forces have stormed the detainees' rooms in Shata prison, where they tore up their families' pictures, and shut down the laundry and canteen causing shortage in detainees' food. The prison administration has also banned family visits for two weeks. In their turn, the detainees refused eight meals in a week protesting the Israeli tough sanctions. For his part, director of Ahrar center Fuad al-Khuffash stated that such attacks were carried out to crack down any protest steps following Israeli authorities' decision not to release the final batch of detainees, which includes 26 detainees, according to the American-sponsored agreement on reactivating Israeli-PA negotiations. Al-Khuffash said that a state of tension has prevailed in the prison, where the detainees threatened to declare an open hunger strike if the prison administration continues its policy of repression. Clashes broke out in the East Jerusalem neighborhood of Silwan on Saturday after Israeli forces detained a 16-year-old boy, a local group said. 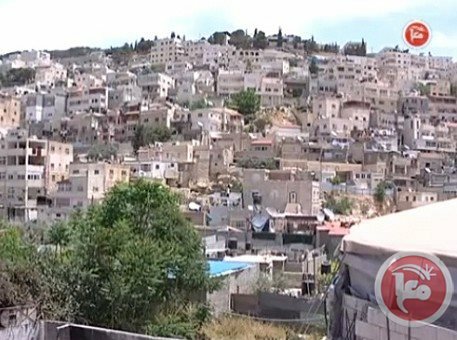 Habib al-Zeer was detained by Israeli forces while standing outside of his home, the Wadi Hilweh Information Center said. Israeli forces fired rubber-coated steel bullets and sound bombs during the raid. Israeli soldiers violently attacked several nonviolent protests held by Palestinians across the West Bank and occupied Jerusalem marking the 38th anniversary of Palestine's Land Day, leading to dozens of injuries and several arrests. The Palestinian News & Info Agency (WAFA) has reported that the army attacked and wounded dozens of Palestinians with gas bombs, live rounds and rubber-coated metal bullets, and physically assaulted several residents. 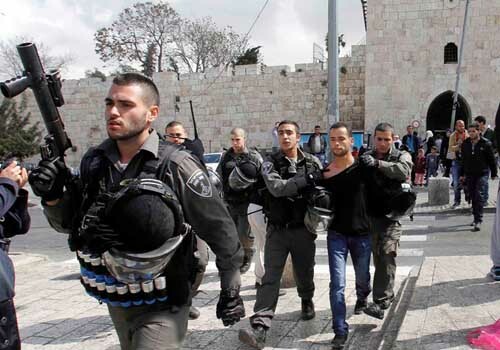 It said that at least one Palestinian was kidnapped in occupied Jerusalem, and several others were wounded, including a woman who suffered burns in her face, after the soldiers assaulted the protesters in Bab al-‘Amoud area, in the center of occupied Jerusalem. The army also kidnapped another Palestinian in the Sultan Suleiman Street, in occupied Jerusalem, and injured a woman after attacking her and spraying her face with chemically modified pepper spray. Abeer Zayyad of the Jerusalem First Campaign said the protesters were holding rallies to express their determination and steadfastness in their own land, and to protest the ongoing Israeli occupation and crimes against the Palestinian people. 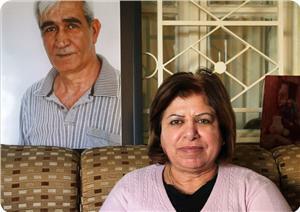 She added that the army first kidnapped Khaled Husseini, coordinator of the campaign, on Sunday morning. Then, hundreds of soldiers and police officers were deployed in Bab al-‘Amoud, where they assaulted the nonviolent protesters. 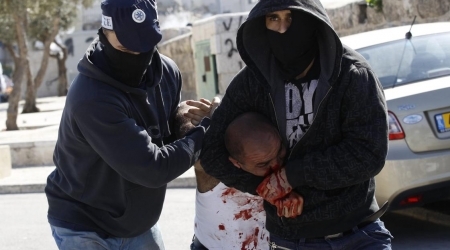 In addition, the Follow-up Committee in al-Eesawiyya town, of occupied Jerusalem, said that the soldiers shot and wounded one young man, and kidnapped three others, during dawn clashes which took place on Sunday, after dozens of soldiers invaded the area. Raed Abu Ryala, coordinator of the committee, told WAFA that the soldiers invaded several homes in Obeid neighborhood, violently searching them and causing excessive property damage, and assaulting Palestinians with pepper spray and batons, leading to several injuries. Resident Ahmad Ali Obeid was also shot by a rubber-coated metal bullet in the leg, before the army kidnapped Mofid Shafiq Obeid, Wahib Mahmoud Obeid, and Mohammad Aziz Obeid. In the Hebron district, in the southern part of the occupied West Bank, soldiers also attacked several protests marking Land Day. Coordinator of the Popular Committee against the Wall and Settlements in nearby Beit Ummar town, Mohammad Awad, said the army fired rubber-coated metal bullets, gas bombs and concussion grenades at the nonviolent protesters as they marched towards the Jerusalem-Hebron Road near the town. Awad added that the soldiers also sprayed the protesters with sewage water in an attempt to force them to disperse. The Hebron Defense Committee also organized a nonviolent protest, in cooperation with national political factions east of Hebron city, close to the illegal Keryat Arba’ settlement, and marched marking Land Day and demanding Israel to return the Rajaby home to its Palestinian owners. Israeli settlers now illegally occupy the home. The protesters marched carrying Palestinian flags and posters demanding the Israeli High Court to void its illegitimate decision which granted the settlers ownership over the Palestinian home, WAFA said. Member of the Hebron Defense Committee, Mohammad al-Jabreeny, said the Palestinians chose to mark Land Day by protesting near the rugby home to affirm their rejection of the decision of the Israeli court, and to affirm that the property is located within the occupied State of Palestine, a state recognized by the United Nations, therefore, the Israeli occupation has no legitimacy. Member of the Central Committee of the leftist Palestinian People Party (PPP), Fahmi Shahin, said that Palestinians are facing a serious Israeli military escalation, land theft and ongoing illegitimate Israeli settlement activities. Shahin added that the Palestinian people are also facing American pressures and attempts aiming at obliging them to abandon their legitimate, internationally guaranteed, rights in their homeland, and added that the Palestinians will remain steadfast, and will continue their national resistance against the occupation and its settlements. Member of the Union of Palestinian Women Committees, Sara Mteir, said Palestinians will continue their resistance, and will remain steadfast until the liberation of their land despite the destruction of homes and property carried out by the occupation forces. The National Committee against the Wall and Settlements in the al-Tiwani area, south of Hebron, in cooperation with student groups at the al-Quds Open University, planted trees in Palestinian lands which Israel intends to illegally confiscate so that it can expand the Ma’on illegal settlement, built on Palestinian lands. In Tulkarem, in the northern part of the occupied West Bank, several Palestinians were injured, mainly due to effects of tear gas inhalation, after Israeli soldiers attacked their nonviolent Land Day protest, west of the city. The protest started in front of the Polytechnic College and, as the protesters headed towards the Israeli roadblock in the area, soldiers fired several gas bombs at them, leading to clashes with local youth. The residents also planted olive saplings in lands belonging to the college, near the Annexation Wall in the area. Tulkarem Governor, Lieutenant Abdullah Kamil, and various officials, representatives of private and governmental organizations, security officials and national factions, participated in the protest. Kamil said that land is the core of the struggle, the symbol of life to the Palestinian people who lost thousands of residents to Israeli violence, while hundreds of thousands have been injured and imprisoned. “This day is the day of every Palestinian, its hold all symbols of resistance and steadfastness of every Palestinian in every part of occupied Palestine, including historic Palestine,” he said. “This day reflects the strong bond between the Palestinians and their historic land of Palestine." As Palestinians marked Land Day, the Israeli government of Benjamin Netanyahu allocated NIS 177 Million for illegal settlement activities in the occupied West Bank, including occupied Jerusalem. Earlier on Sunday, Israeli soldiers invaded numerous Palestinian communities across the West Bank, and kidnapped several Palestinians. The army broke into and searched dozens of homes and interrogated several Palestinians in their own homes, and on roadblocks spread across the occupied West Bank. On Saturday, several fanatic Israeli settlers attacked Palestinian homes near the Rajaby house, hurling stones at them and at several Palestinian cars. Palestinians started marking land day back on March 30, 1976, when Israel illegally annexed thousands of dunams of Palestinian lands and private property, and considered those lands as part of the state. The Palestinians marched to protest the decision and, back then, the army shot and killed six Palestinians, and injured dozens of others.